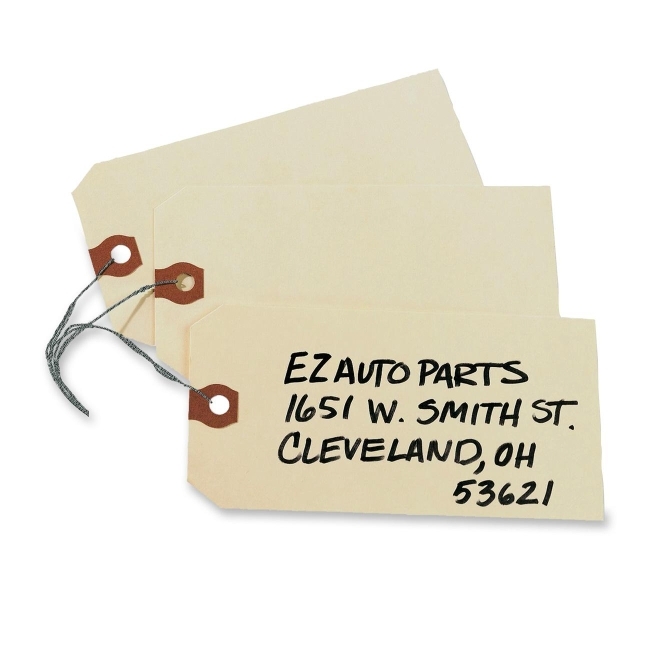 Shipping tags offer a smooth writing surface with a neutral background that makes your text stand out for easy reading. Attach the tag with the included wire to ensure it stays securely bound to the item it represents. Each tag features a reinforced hole for extra strength to allow the wire to hold the tag firmly without ripping through the cardstock. 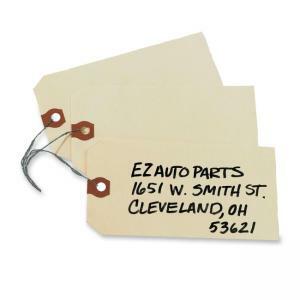 Shipping tags are made of 13 point stock. $25Avery Manila G Shipping Tag - 3.75" x 1.87"
$34Avery Manila G Shipping Tag - 4.75" x 2.37"
$34Avery Manila G Shipping Tag - 5.2" x 2.62"
$45Avery Manila G Shipping Tag - 6.2" x 3.13"
$17Avery Manila G Shipping Tag - 2.75" x 1.37"
$30Avery Manila G Shipping Tag - 4.25" x 2.12"